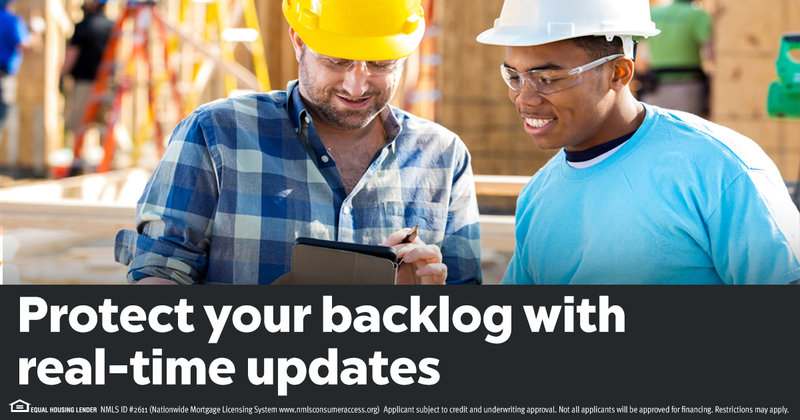 As a builder, you can't afford to lose any of the deals in your backlog. That's why we created a digital process that helps get buyers approved, fast and hassle-free. As one of the nations most trusted lenders, we work to ensure we do our part during the building process, so you don't miss closings.